Fabrizio is a Partner at Arthur D. Little, based in the Rome office, and leads our Automotive Practice in Italy. As Partner, he combines broad, cross-sector experience with deep expertise in marketing and strategy to help clients transform global marketing and sales organizations. Fabrizio advises automotive and machinery companies on growth strategy, operations transformation, and organizational effectiveness. 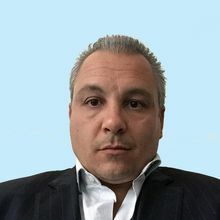 Prior to joining Arthur D. Little in 2006, Fabrizio was a Manager of Ernst & Young, with experience in the automotive and telecommunication industries. Earlier, he worked as Senior Financial Analyst at Centrosim (Asset Management), and at Efibanca in a similar position. Fabrizio holds a Master’s degree in Management and Business Administration from the University La Sapienza, in Rome. Fabrizio is married and has two sons, and knows how to balance work and life in order to improve the quality of both. His hobbies are fitness training. travel, music and thriller books.